Detail from the puzzle globe Wikipedia logo. We used to need libraries to make the sum of human knowledge available to all. Today we have Wikipedia, where the sum of human knowledge can be shaped by all of us. But can we trust it? Wikipedia features 30 million articles, in 287 languages. And it’s written and edited — for free — by 77,000 contributors around the world. What did we do before Wikipedia? How has wikipedia influenced knowledge flow and global connectedness? How does technology change the nature of information, the truth, facts and the power of community? Power of the collective interactive space where everyone on the planet can collaborate. At this CBC radio podcast Philip Coulter suggests that the collective mind is perhaps the best mind we have. Coulter dubs the term ‘vector knowledge’ which summarizes perfectly how wikipedia knowledge networks connect directly and indirectly to create the mesh of human information and knowledge in this digital repository. In the podcast The Great Book of Knowledge, Part 1 you will hear a fascinating discussion about Wikipedia from a number of operational, social, innovative, and connected society perspectives.The entire podcast is very worthwhile listening to in order to be able to really appreciate the [R]evolution in access to human knowledge, and the way we build and share information to further knowledge endeavours. Use Wikipedia to get a general overview, and follow the references it provides as far as they can take you. Look at the Discussion tab to see if the article you’re reading is part of a WikiProject, meaning that a group of people who care about the subject area are working in concert on its content. They may not be experts on the subject, but signing onto a WikiProject implies a writer has more than a casual interest in it. If it is part of a WikiProject, see if it has been rated. Articles in WikiProjects go through a type of peer review. This is not the same type of peer review your professor talks about regarding scholarly research, but even such a limited review does at least imply that someone from the WikiProject has looked at the article at some point and assigned a quality rating to it. In any case, to be fairly sure that a Wikipedia article expresses what laypeople might need to know to consider themselves reasonably informed, look for a rating of B/A or above. The latest report PEW Report Library Services in the Digital Age has hit the scene and provides important and critical information in the ongoing pursuit to provide wonderful and responsive libraries in our community. Add this to your bookmarks now! The respected Pew Internet & American Life Project is part of the Bill and Melinda Gates Foundation grant portfolio. This report is important because it surveys a wide range of US citizens – not just one age group, or local population, or one language group or just people who already use libraries. Though based on US data, the findings have relevance around the globe providing important insights into the role of libraries in people’s lives and their communities. The internet has already had a major impact on how people find and access information, and now the rising popularity of e-books is helping transform Americans’ reading habits. In this changing landscape, public libraries are trying to adjust their services to these new realities while still serving the needs of patrons who rely on more traditional resources. In a new survey of Americans’ attitudes and expectations for public libraries, the Pew Research Center’s Internet & American Life Project finds that many library patrons are eager to see libraries’ digital services expand, yet also feel that print books remain important in the digital age. “Amazon”-style customized book/audio/video recommendation schemes that are based on patrons’ prior library behavior: 29% of Americans ages 16 and older would “very likely” use that service and another 35% say they would be “somewhat likely” to do so. 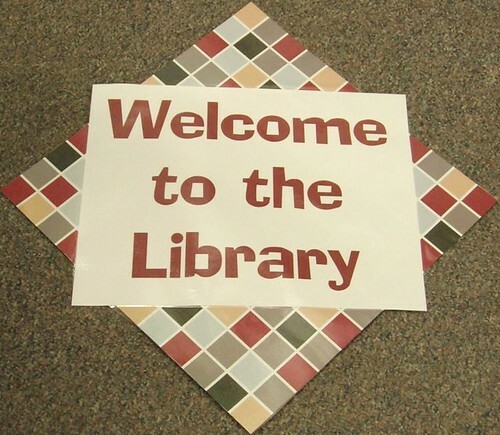 When Pew Internet asked the library staff members in an online panel about these services, the three that were most popular were classes on e-borrowing, classes on how to use handheld reading devices, and online “ask a librarian” research services. Many librarians said that their libraries were already offering these resources in various forms, due to demand from their communities. These are some of the key findings from a new national survey of 2,252 Americans ages 16 and older by the Pew Research Center’s Internet & American Life Project and underwritten by a grant from the Bill & Melinda Gates Foundation. The interviews were conducted on October 15-November 10, 2012 and done on cell phone and landlines and in English and Spanish.